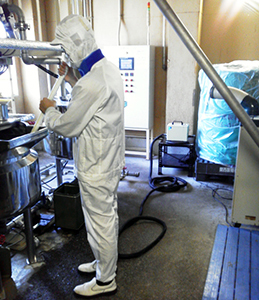 Industry Applications vol.3 Food Manufacturing Industry - COOLEX The Ultimate Protection Against Heatstroke in Extreme High Temperature Environments - Kamakura Seisakusho Co., Ltd.
Food Manufacturing Industry Breakthrough cooling workwear saves you from extreme temperature work environments! COOLEX will effectively cool the wearer's body with the constant flow of cold water in extreme high temperature working environments.Portable and for use anywhere with an AC electric power outlet. COOLEX workwear directly cools the wearer and is not easily affected by ambient temperature, making it a highly efficient and effective cooling solution. This task consists of making candy in a industrial-sized kettle. 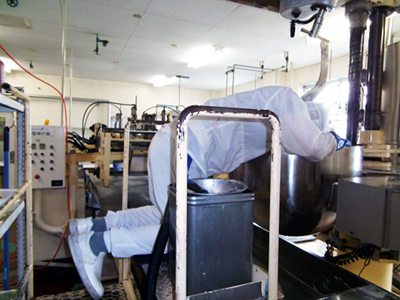 The worker does not do much moving, but must stand in front of the extremely hot industrial-sized pot for long periods. 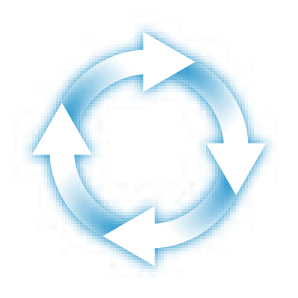 For several years, we have used outside wind as their source of cooling and were looking for a better cooling method. 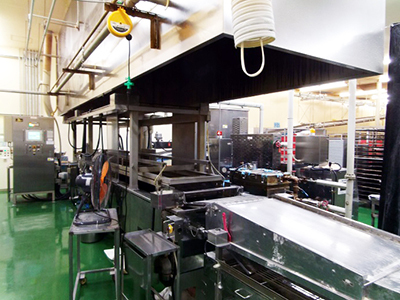 Many said that COOLEX is the most effective and efficient cooling method they have ever had. Users said they could use it without problems after getting used to handling the connecting hose. We have another factory in need of a new cooling method, so we review its effectiveness during summer and will be considering to implement them next year. 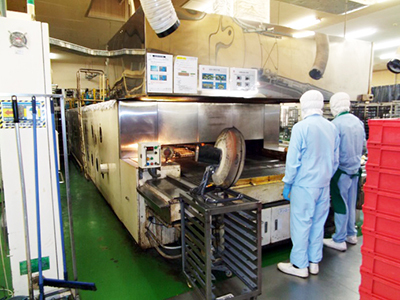 In the bread production processes, workers who handle the tunnel burners and fryers were particularly troubled by the heat in summer. Although we took some measures for them like installing electric fans and spot coolers, but there was no improvement and we were looking for something better. I found COOLEX on the net and tried out the free trial demonstration Kamakura had advertised. When we did the on-site demonstration, everyone had a high opinion of the models we tried out. With the ambient temperature conditions that we work in, we though that the COOLEX-Light would suit our needs and started using them at two different locations. 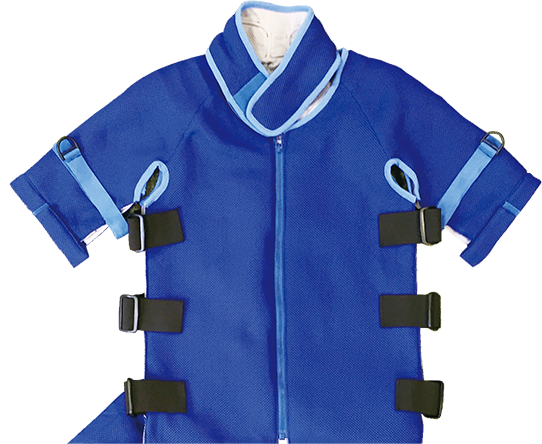 The product is intended to be worn underneath of the sanitation suits, but our workers change shifts often, so they wore COOLEX over the sanitation suits. However, the cooling effect was sufficient, popular among our employees, and everyone worked without incident this summer.